Disclaimer: I am not a doctor, dietitian, or chef. The contents of this blog are not medical advice. Always seek the advice of a medical professional for questions about a medical condition. I use this blog to share my personal experiences and opinions about using dietary changes to manage autoimmune disease. Awesome FREE Resource for the Holidays! 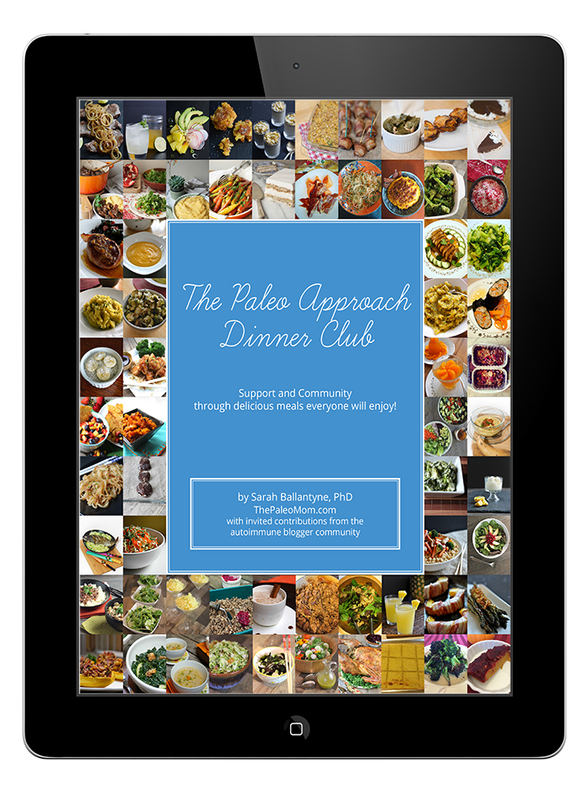 Announcing The Paleo Approach Dinner Club E-Book! As January comes to a close, so does my 30-day yoga challenge. I’m sure you’ve been losing sleep, just dying to know … did I make it? Did I do yoga every day for 30 days? The answer is: almost, which is something to celebrate. With me and goals/aspirations/30-day challenges, if I miss one day, my tendency is to completely give up. Probably because it’s just easier to throw up my hands and say, Well, I failed! It’s finished! Now I can go back to scrolling through Twitter. But I’m proud to say that this month, after missing about two days right at the beginning, I kept at it. I showed up on the mat. And that’s really what these 30-day challenges are about: showing up for myself. Acknowledging that my body and mind are worth the 20 minutes of intentional yoga practice, or for February, the time spent drawing or creating something. I found a YouTube video series (a 30-day yoga challenge, how fitting!) that I liked. That series guaranteed that every day would be different, have something new. I began to look forward to it every day. It became my ritual. And it’s amazing how different it has made me feel. I feel more settled in my skin. I can identify the ways I have gotten stronger throughout the month, and how I’ve built endurance. I can also see how I am more able to create a some space, emotionally and physically, and breathe a little more deeply, even if for just a short while every day. So, even if you’re not doing yoga, or a 30-day challenge, or anything, try showing up for yourself in some way, that matters to you, every day. See what happens. I’ve made this dish a few times in the past month. It’s SUPER easy, since it uses frozen veggies (no washing/chopping) and is made in the slow cooker. I’m amazed at how delicious and tender the chicken turns out. *If you have reintroduced seed-based and nightshade spices, by all means, use curry powder for this recipe! Place chicken breast on the bottom of the slow cooker. Sprinkle some salt, ginger, and garlic pieces on top. Add frozen vegetables next, followed by sweet potato chunks on top. As you go, layer in spices, garlic, and ginger. Pour coconut milk over the top. Add remaining spices, garlic and ginger. Cook on low for 8 hours (or longer – I left mine for 8.5 overnight and it was just perfect). 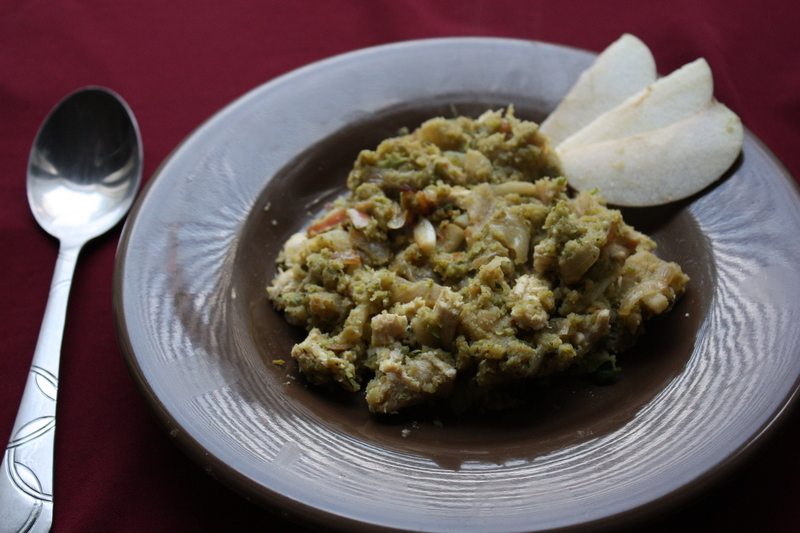 Stir to incorporate – the chicken is so tender it just falls apart. Disclosure: This post contains affiliate links, which means that if you click on one of the product links and make a purchase, I’ll receive a commission. I only affiliate myself with products I believe in and I think are worth the money, since I understand what it’s like to operate on a tight budget! I am thrilled to announce that I have been part of the creation of a collaborative, amazing new e-book, called The Paleo Approach Dinner Club! 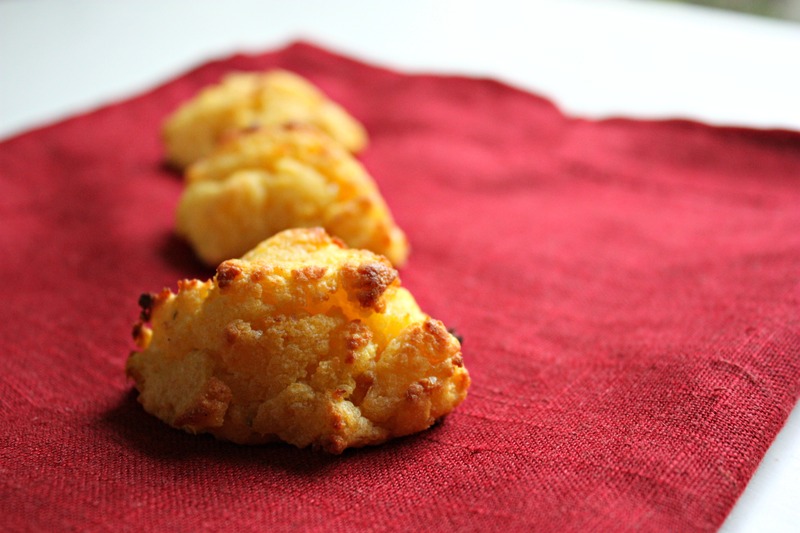 This genius idea came from Sarah Ballantyne (The Paleo Mom) herself, and she invited a bunch of bloggers (me included!) to contribute recipes. The e-book provides 12 complete dinner club meals plus two bonus meals – each with five original, delicious recipes created by amazing AIP bloggers just for this book! There are 82 recipes total! In addition to the recipes, the book contains helpful information for starting, organizing, and planning a “dinner club” with 8-10 people – it even has party game suggestions. The idea is this: each dinner club meal has five recipes, including a main dish, three sides, and a dessert/drink. Each member of your dinner club will prepare one or two recipes or components of the chosen meal. This lets everyone share the load while ensuring a complete meal of healthy, delicious food. Click here to view more details and to purchase the book! This e-book is a great resource for the upcoming holidays. 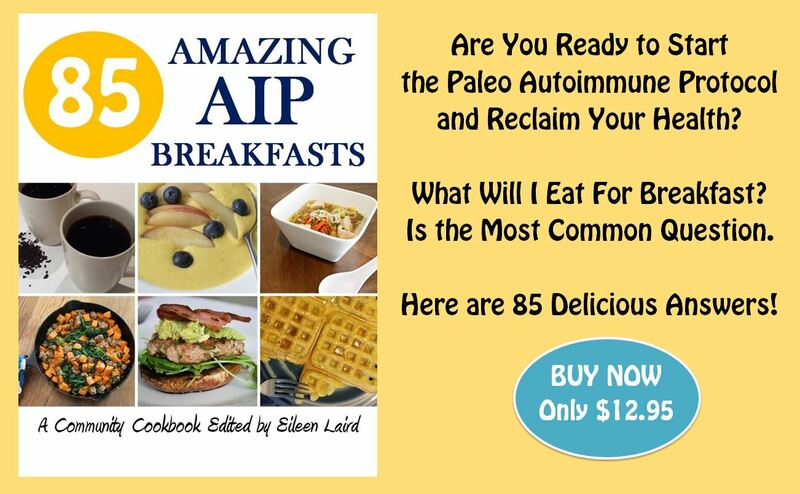 You can use it to introduce family and friends who might not follow the Paleo diet to the delicious, filling, and healthy foods you are able to eat while following the autoimmune protocol (AIP). It would also be a fantastic resource for setting up a social event with folks who do follow this lifestyle. Often times being on a strict diet can feel lonely. This e-book helps fulfill an important part of being healthy – building community! To get more information and purchase the e-book for $16.99, click here! These beauties look, taste, and smell like buttermilk biscuits: gooey and moist on the inside with a little golden crisp on the outside. They’re a lovely, easy way to use up leftover roasted squash and only take a few minutes to whip up and bake. 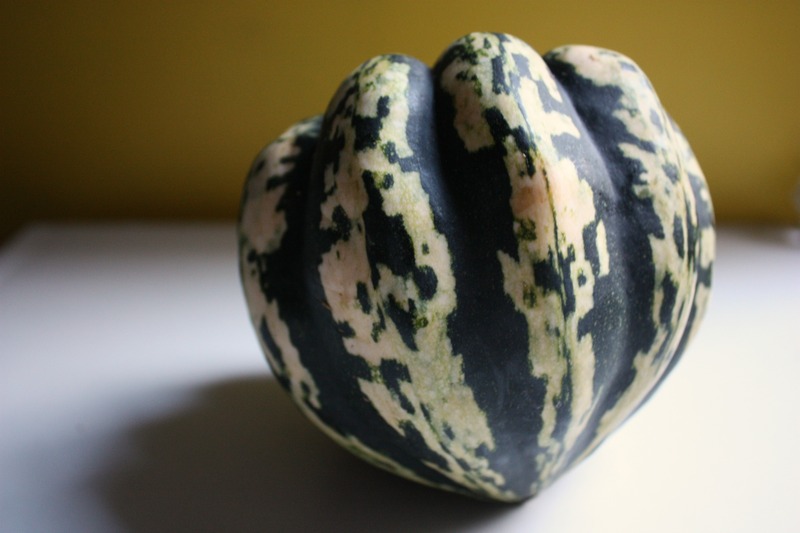 The squash I used this time was a carnival squash (see photo below), which is orange inside and slightly sweet. When I set out to make this recipe, I had no idea how different the texture of different squashes could be! Acorn, butternut, buttercup, festival, and delicata all produced slightly different results. After making these a million times with all kinds of squash to work out why sometimes the dough was too wet and other times was just right, I’ve changed the recommendation from using a food processor to mashing by hand, and provided additional ingredients to try if your dough turns out either too dry or too wet. Servings: Makes 6-8 small biscuits. 3. Add squash, tapioca starch, baking soda, and salt to a bowl. 4. Mash together your ingredients until well mixed to form a sticky dough. 5. If the dough is too dry, add a small amount of melted coconut oil. If the dough is too wet, add up to 4 TBSP of coconut flour. 6. Form dough loosely into 1.5 to 2 inch diameter balls. 7. “Drop” onto parchment covered baking sheet. 8. Bake for 20 minutes, until the outside turns golden brown. 9. Let cool for 5 minutes before eating. – To roast squash, I cut it in half and place cut side up in a baking dish. I add a little coconut oil and roast at 400 for 30-45 minutes. The result is not overdone or over soft. That firmness helps keep the dough from getting too moist. 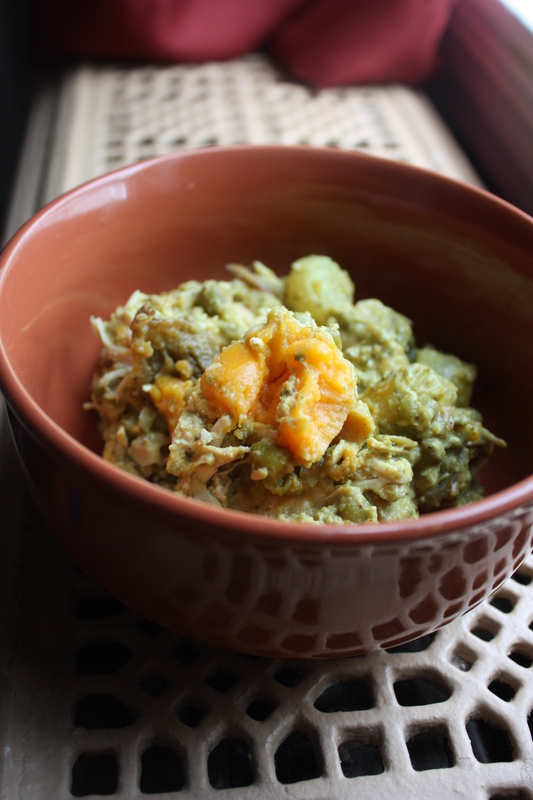 – If using leftover squash that is cold from the fridge, pop it in the microwave to warm it up. This makes incorporating the oil and starch much easier. 1. 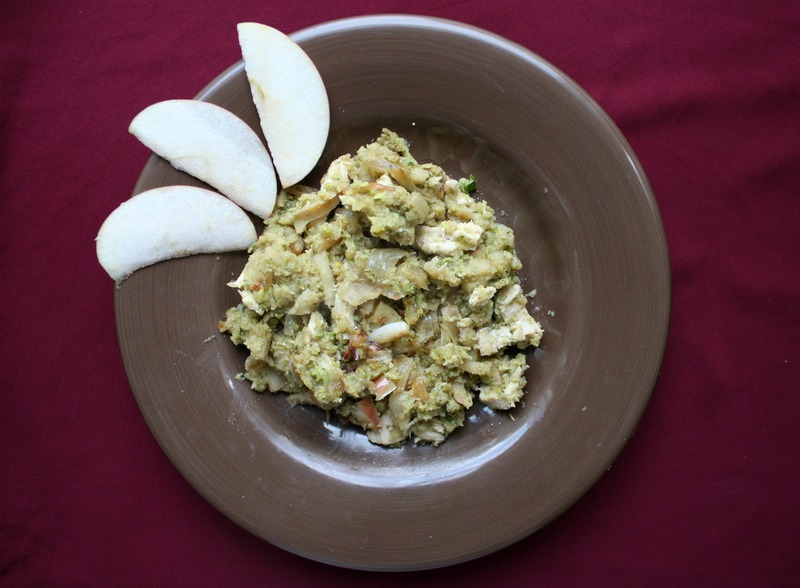 First, take care of shredding your zucchini and cooked chicken breast, and dicing up your apple and onion. 2. 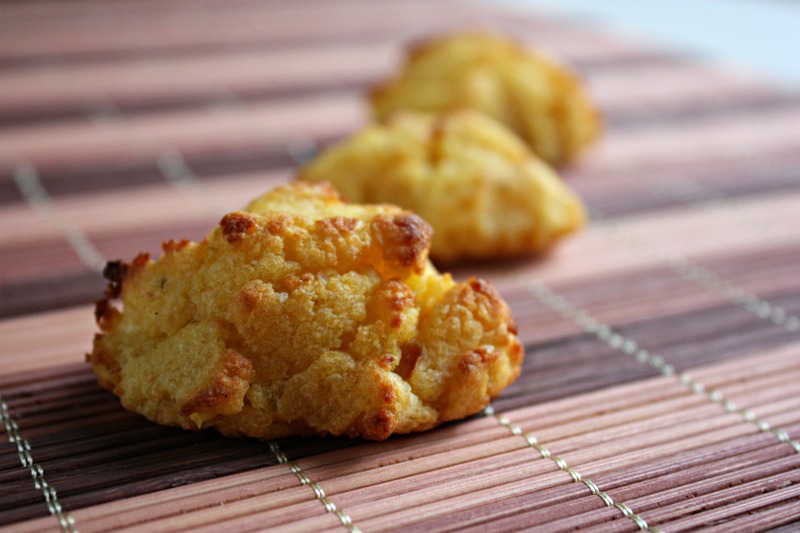 In a small bowl, mix together coconut flour and spices. 3. In a large bowl, toss together shredded zucchini and apple. Drain off any of the excess liquid from the zucchini (after sitting for a few minutes, I definitely had some liquid to drain). 4. Add coconut flour/spice mix to zucchini/apple mixture and toss to incorporate. 5. Heat coconut oil in frying pan over medium-low heat. 6. Add diced onion and cook until soft and carmelized (about 10-15 minutes). 7. Add zucchini/apple/spice mixture and cook uncovered for about 10 minutes, or until apples are soft. 8. Stir in chicken and cook for 2-3 more minutes, or until chicken is hot. 9. 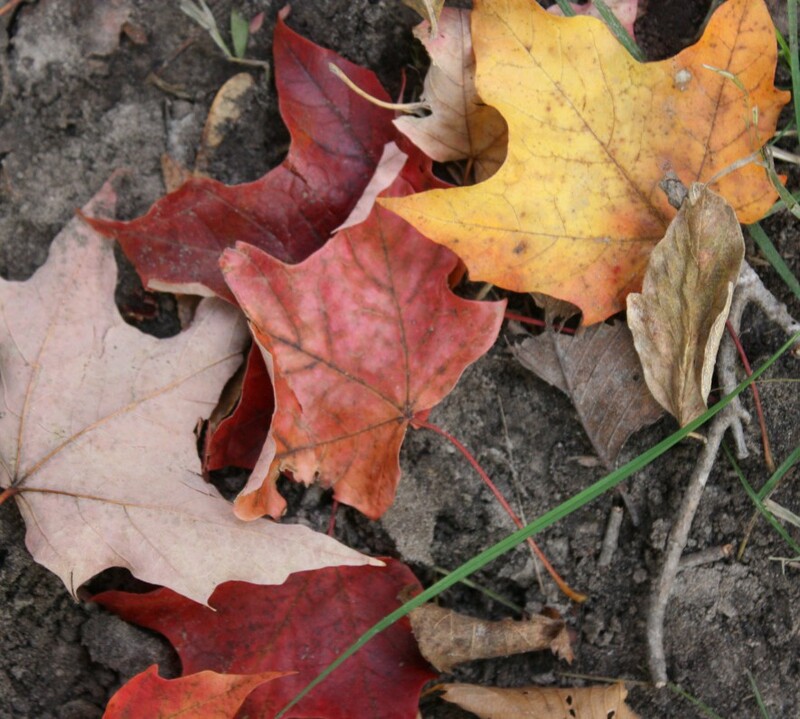 Enjoy the taste of fall. Big news, folks! 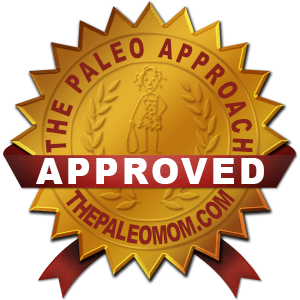 As of last week, my blog has been awarded “The Paleo Approach Approved” badge (see sidebar)! The badge indicates that this blog is a resource which aligns with the recommendations in Sarah Ballantyne’s book, The Paleo Approach: Reverse Autoimmune Disease and Heal Your Body. I feel so honored to be a part of the growing Paleo Approach community with a number of other talented bloggers. To view all the TPA Approved resources and blogs (all of which I highly recommend! ), visit http://www.thepaleomom.com/tpa-approved. On to the latest recipe! Now that the farmers market is just bursting with fresh produce, I found myself overwhelmed with the amount of zucchini in my fridge. Zoodles (“zucchini” + “noodles”. Get it?) are a fabulous way to eat it up! First, make your zoodles. If you have fancy tools for doing this, like a spiralizer, great! Use those. If you do not have fancy tools (like me) just use a potato/vegetable peeler. Peel off the skin and discard, then just keep right on peeling the flesh into long strips, straight into a colander. This makes fettuccini-like noodles. Peel until you get to the seeded, inner part of the zucchini. Set seeded part aside. Sprinkle zoodles with salt and set colander in the sink for 20 minutes. Make pesto. Remove basil leaves from stem. Add basil, garlic, olive oil, and salt to food processor. Process until well-chopped and mixed. Slice up remainder of zucchini. Heat coconut oil in a deep frying pan over medium heat. Add mushrooms and zucchini. Cook for 10-15 minutes until cooked to your liking. I like mine to start getting a little brown and crispy. While shrooms and zukes are cooking, squeeze excess moisture from the zoodles (the salt helps draw it out). 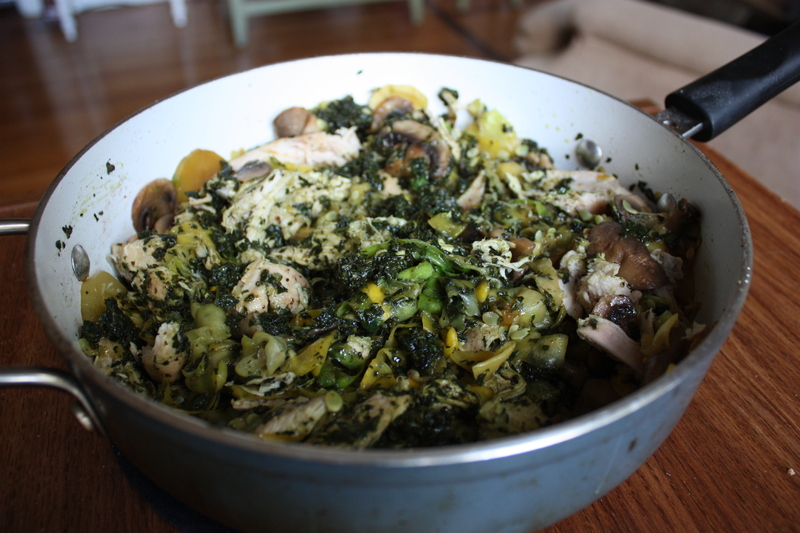 Once the mushrooms and zucchini are cooked to your liking, add zoodles and cooked chicken to pan and cook for 3-5 more minutes until zoodles are slightly cooked and chicken is warm. Remove from heat and stir in the pesto. Enjoy hot or cold! Getting into fermenting foods can be intimidating. I’d read about how important it was to regularly consume fermented foods as a way to improve the flora in your gut. I thought about it and waffled on it for months before finally taking the Big Leap. Only to find that the Leap wasn’t that big at all – fermenting stuff is easy! It’s fun! And it’s tasty! My favorite ferment so far is beet kvass. It takes minimal preparation, a week or so on the shelf, and the result is an earthy, salty, slightly sweet fizzy drink that’s great with a squeeze of lime. 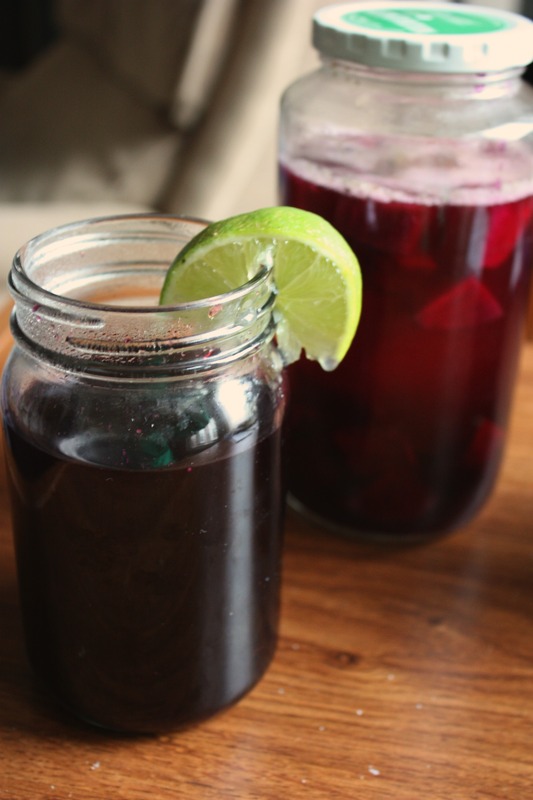 If you’re waffling on taking the Leap, try kvass as a first step. Scrub (but don’t peel) beets and chop into inch-sized cubes. Drop into a jar. I use an empty Bubbies jar, which is about 25 fl. oz. If you use a bigger jar, add a second Tbsp of sea salt. Add sea salt and filtered water over the beets. Leave about an inch of space at the top of the jar and seal it tightly. Put it on a shelf in a warm room and forget about it for a week. After a week, it should be ready to be put in the fridge and enjoyed. I’m not a big fan of liver. It’s messy to prepare and I usually am not happy with the taste/texture that results. So why bother? The Autoimmune Protocol emphasizes eating for nutrient-density, and organ meats are some of the most nutrient dense foods around. So even though they might be a pain to prepare (in my experience), I try to incorporate them into my diet often. I like the Paleo Mom’s idea of hiding liver in recipes to mask the flavor and texture, like her Hidden Liver Meatloaf. However, I found the recipe that didn’t hide the flavor quite enough for me. The way I was able to eat it all was by combining every single bite of meatloaf with a bite of sweet potato. So I incorporated sweet potato in these meatballs for further masking. I also used a smaller ratio of liver to meat – opting for a 1/2 pound slice instead of the full pound. It worked! 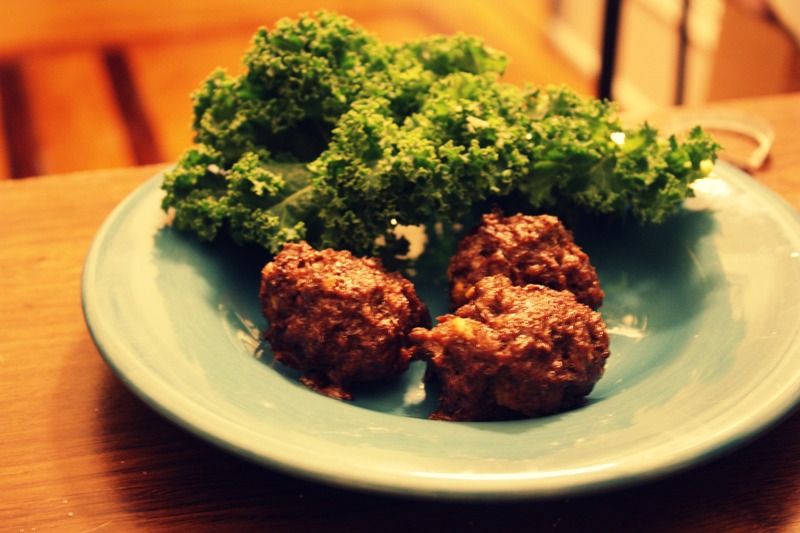 The sweet potato and coconut aminos make these meatballs sweetly delicious, and the liver taste is barely detectable. Preheat oven to 400 degrees. Cover two cookie sheets or cake pans with foil. Since my kitchen is small and slightly under-stocked, I used one foil covered cake pan and one glass baking dish. Both worked! The worst part is the first part: puree your liver in a food processor until smooth. Add liver and rest of ingredients to a bowl and mix together. Use your hands and dig in! Roll into meatballs and place on your pans. Cook for around 30 minutes, or until meatballs are done in the middle. Enjoy with some extra coconut aminos for dipping sauce.